The SPIRITED WOMAN Workshop is winning raves! 600+ spirited women have already attended the workshop in cities across the nation. It is great for transitions, movement, and change. Many women have taken the workshop two or three times in Santa Barbara and LA. So...I ask you - what are you waiting for? You deserve an afternoon of fun, sharing, unstucking the stuck, and self-inspiration. Talk about nirvana! The workshop is held at a variety of wonderful homes - many overlooking the ocean with mountain views. You'll be TRULY INSPIRED to unleash your fantabulous self, celebrate you, and create movement in your life. Refreshments are served. From LA - it's a terrific getaway, and only a 90-minute drive. It is a "wow" experience. The Black Box Theater is fantastic - very intimate and filled with energy, it's a GREAT place for a self inspirational workshop. You get up on the stage (such as it is) and let it rip. Everyone from artists to entrepreneurs have attended. Refreshments served. Free street parking, easy access to the 405 Freeway. A 90-minute drive from SB or a 2-hour drive from San Diego. Lots of fun. Credit cards accepted via phone and online. 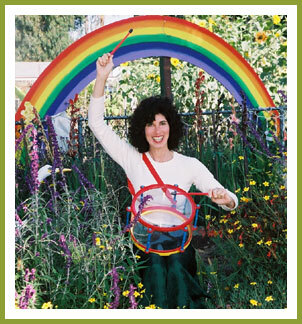 Nancy Mills, PO Box 20042, Santa Barbara, CA 93120.
connected with spirited women everywhere. The Spirited Woman Workshop is a three-hour "WOW" experience filled with creative playfulness, innovative exercises, self-expression, inspiration, and fun. It emphasizes your ALIVENESS and reinforces YOU ARE ENOUGH AS YOU ARE. Great for transitions, opening up, and movement. Attendees range from artists to entrepreneurs. Led by Nancy Mills, the creator of the Spirited Woman Approach to Life, the workshop is limited to 12 women. Nancy is a writer and a workshop leader. She's taught the popular Spirited Woman Workshop in cities all across the country. Prior to teaching the workshop, Nancy published the "Travelin' Woman," newsletter and led empowerment seminars for over 3,000 women. Nancy has been interviewed by such publications as USA TODAY and appeared on THE TODAY SHOW. "You know those days when you wake up in the morning, and you put on just the right song, and you dance around your place feeling like the hottest thing going? Leaving Nancy's workshop, I felt just like that. Nancy helps you tap into that inner magic of your most confident moments and live there." "I've never done anything like this workshop before and I would love it if someone else took a jump into the unknown and came floating up to the top with such a treasure. I had so much fun and so enjoyed spending time with all of you "Spirited Women"? I felt like each one of you was a gift given to me for the day. It was the BEST day." "I left the workshop feeling fabulous and unblocked as an actress and drove down Santa Monica Boulevard singing to the radio with a huge smile on my face, and no, I didn't even take my medication, haha." "The workshop is soooo energizing and uplifting. Fun and full of depth, it struck both a spiritual and personal cord with me. No one wanted to leave at the end. Thanks, Nancy, I loved it and I'm recommending it." "The workshop was a birthday present to myself. It was truly inspiring. There was a real feeling of community - almost like a much loved family. Nancy has a gift for making women feel at ease and confidant. Her exercises are innovative and liberating. It was the most pure fun and joy I've ever had at a workshop." "I went in a skeptic...but came out an enthusiast. The workshop format was such that elicited meaningful discussion in a highly entertaining, non-threatening way. Nancy was more than simply a facilitator. Through her active participation, she brought out the very best from a disparate group of women."